When it comes to septic tanks and systems, it’s pretty much never a DIY situation. A malfunctioning septic system can contaminate Weaverville drinking water supplies and cause flooding, as well as create sewage backup and biohazardous situations. If you need a septic system installed, pumped or repaired, hiring a certified Weaverville, NC septic professional is a no-brainer. 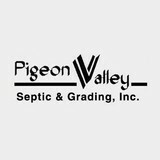 Exceeding your expectations with our quality workmanship Excavation And Grading – Reclaim your property and turn it into what you envision Specialty Services – Keep your property maintained with quality land management service Septic Systems – Reliable septic solutions for all of your septic needs Let the professionals at Pigeon Valley Septic & Grading Inc. move the Earth for you and clean up all that excess water. Put your trust in the septic tank experts to make sure your system always runs right so it keeps the water running right. 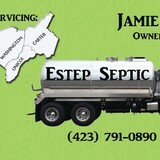 Locally owned and operated by Jay Asbury since 1995, Asbury's Septic Tank Cleaning & Backhoe Service Inc. in Morganton, NC has been serving the Burke, Catawba and McDowell counties for more than 15 years. As a licensed, bonded and insured team of specialists, you can depend on us for prompt, dependable and honest septic services, backhoe services and porta john rentals. 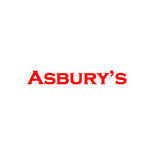 We are available 24 hours a day, 7 days a week. Have an emergency? Don't hesitate to call! Lee is more than a dirt mover. He is a land sculptor. When they say a good cowboy had to have been born in the saddle, you would say Lee was born in the seat of dirt moving equipment. His gentle touch and sixth sense to tackle challenges gives his creative nature an opportunity to bring your dreams into reality. Lee has been a grader for over 30 years and still loves the work as much as when he began. Our grading operator, Lee Ledbetter began working the business with his younger brother about 30 yrs ago. After his brother was killed in an accident he changed vocations and operated a sawmill for several years. During that time he met and married his now business partner, Betty. Recognizing his love and talent for grading, they made a decision to acquire the tools (equipment) to return to the business of grading. 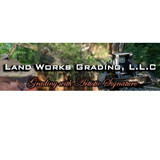 In 1998 they organized Land and Timber Services, Inc. now doing business as Land Works Grading, LLC. Keeping the American Dream alive these entrepreneurs are providing part time jobs for friend that have lost jobs and services to assist landowners develop and realize their dream home and vacation sites.